Randholee Resorts is an exclusive hotel tucked away in Sri Lanka's central hill country where there are beautiful landscapes to explore as well as a great city to discover. There are a huge amount of excursions that can be taken from the hotel including walks along nature trails, visits to the Riverside Elephant Park and fascinating museums and temples to see. There are plenty of things to keep guests entertained at the hotel itself with an infinity pool, a fitness centre and a spa. Guests can play pool or board games, relax in the bar with a drink or follow the nature trails from the hotel and have a picnic in the forest. 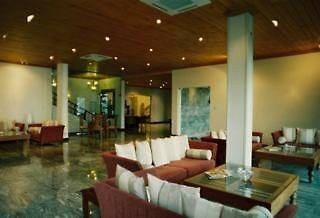 The rooms are luxurious with mahogany furniture and local Kandyan paintings on the walls. 18 of the rooms have private balconies offering breathtaking views, however everyone can enjoy the views from the infinity pool.